The main theme within Raisin in the Sun is racial discrimination, however it's most prevalent message is that of personal pride, and pride within a family. Research papers on the theme of pride in the novel A Raisin in the Sun examine Lorraine Hansbery's intensions in working pridefulness into each character's personality. Have Paper Masters help you with explicating the themes of the novel in a custom written research paper today. The obvious theme within Raisin in the Sun is racial discrimination, however it's most prevalent message is that of personal pride, and pride within a family. Pride is what allows Walter to make the right decision, when he can't bear to go through with accepting the "bribe" in front of his son. Ruth takes pride in every little task she performs. This theme cannot only be seen throughout the descriptions and interpretation of the characters, but is contained within several inanimate objects as well, each associated with a particular character in the play. Mama's plant is the subject of many references to the need for light and air. The plant represents Mama's children and the hopes she has for their lives. It survives, even though it is deprived of many things that it needs to survive, like sunlight. Mama's children have also been deprived of many things in life and yet they are still able to continue to grow. Walter and Beneatha, like the plant, have not been given the necessary ingredients to blossom the way they could if they were given a chance at success. Mama is their oxygen, breathing life into their dreams through her fervor and zeal. She tries to sway her children into doing the "right thing," and effectively calms the chaos that occurs. She wants her family to take root, to be strong even when transplanted to a new situation. Conflict in A Raisin in the Sun - Conflict in A Raisin in the Sun can be seen in several characters of the play. Paper Masters suggests writing about conflict in A Raisin in the Sun to underline the main themes of the novel involving injustice, race and the individual's struggle. 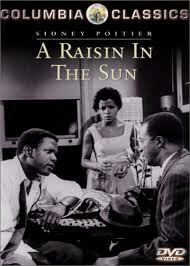 George in A Raisin in the Sun research papers focus on the character that has assimilated into the white mainstream. Race in Othello is a research paper topic that makes and excellent study on the Shakespeare play Othello. Beloved Characters research papers discuss the existence of beloved characters that have emerged from childhood books and adult literature. Symbolism research papers examine the literary device where an author presents an object as having significance beyond its literal meaning. Paper Masters writes custom research papers on Pride in Raisin in the Sun and discuss the major themes in the novel.